Ishant keeps going at the other end. Jadeja continues. Cook gets two with a thick edge to third man. So no maiden for Jadeja. OUT! He strikes right way. Pushed across Ballance, who can't resist pushing at it himself. He can only get a nick though. Big wicket for India. England 70 for 2 after 28.1 overs. 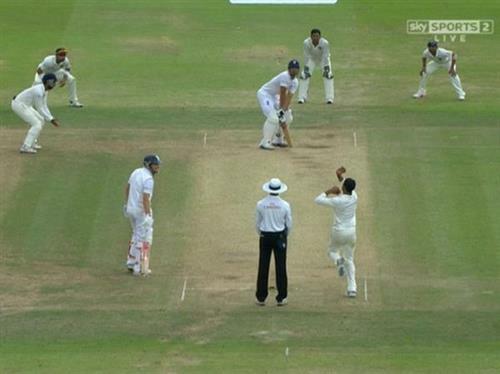 Might that wicket fire up Shami?